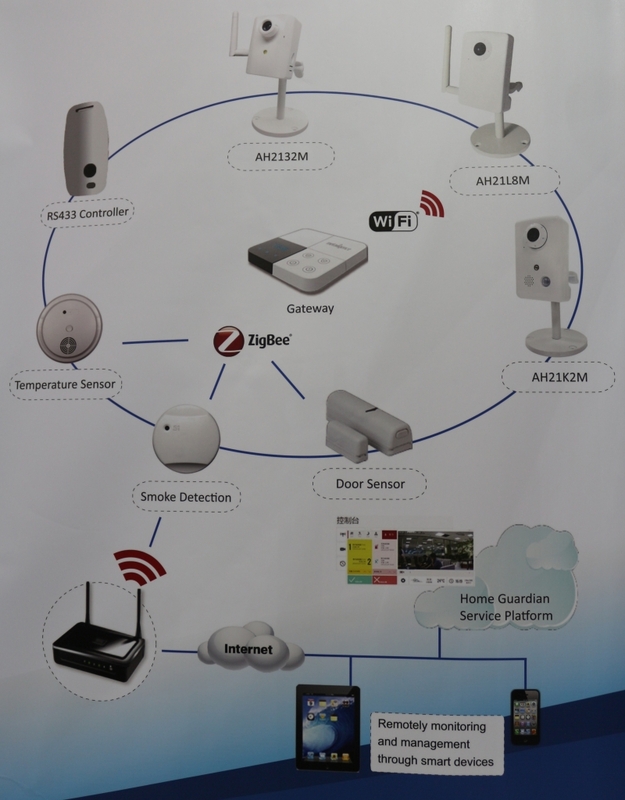 A-MTK, the 10 year-old Taiwan-based IP camera manufacturer, has marched toward smart home since 2010. Targeting at both DIY and professional installation markets, A-MTK has modified its IP cameras to match needs from different markets. A-MTK devises its home solutions upon three levels. The basic one is standalone home cameras with a free APP. For now A-MTK provides customers with basically two kinds of home cameras. One is the fisheye cube camera which is suitable for outdoor surveillance (e.g. garage). The other is the PT camera with an embedded tracking function. These cameras can be installed instantly via QR code, and users are allowed to utilize both google drive and an embedded Micro SD card to store footages. Via the APP, users can easily control or change settings, including IR LED on/off, two-way audio, live viewing and playback. On the second lever, A-MTK offers a home caring solution via the application of a home camera and a mobile emergency button. When the button is triggered, it would immediately inform the IP camera which has an embedded speaker. Then the camera will voice alert and push notification to any family members’ smartphones. The third level solution is reserved to MSOs. This total solution combines IP cameras, smoke detectors, door/window sensors, other environmental sensors and a cloud platform. All these devices are able to be remotely controlled via an APP. Since 2014, A-MTK has co-worked with Metalligence to provide this total solution to the largest MSO in Taiwan.